Add a little "silli"ness to teething! Silli Chews are fun, colourful, baby safe and patented silicone teether offered in original designs. 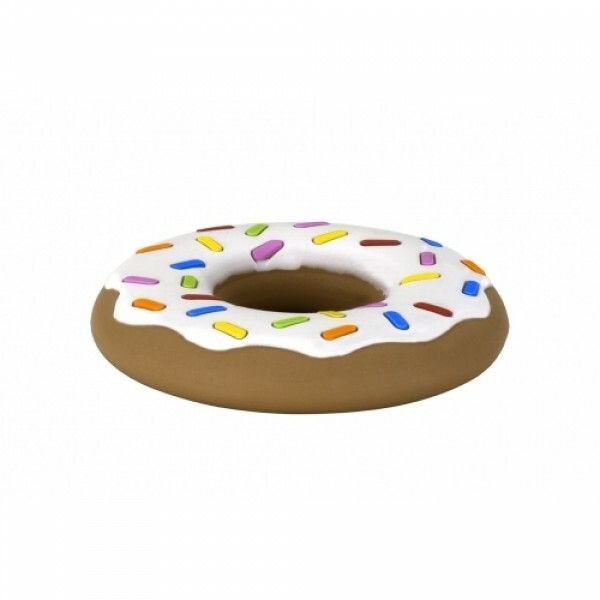 Fun, colourful teethers in everyday object babies love to grab – a sprinkles donut! Multiple bright colours and textured surfaces are sure to amuse your baby and soothe their gums. Our silicone teethers are soft, flexible and great for tugging and chewing. 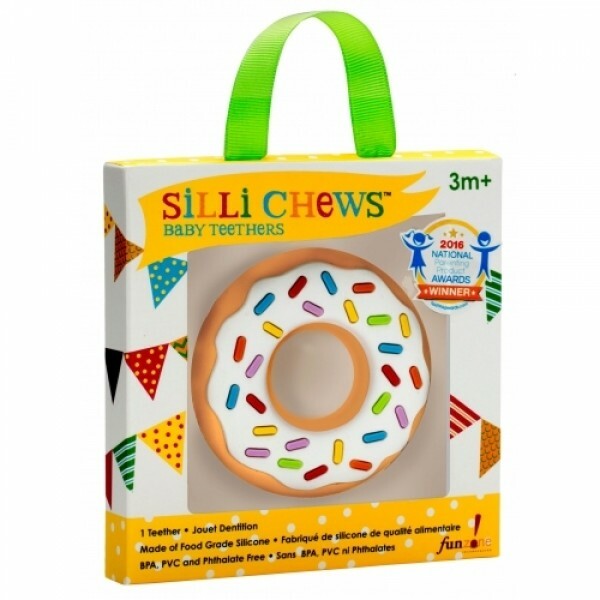 Material: Food Grade Silicone ARE SILLI CHEWS TEETHERS SAFE? All Silli Chews baby teethers are made of food grade silicone, and no paint is used. Our teethers meet or exceed CPSIA, ASTM and EN71 standards and are BPA, PVC and Phthalates free. As with any teethers, make sure to inspect teethers before and after each use. Replace teethers when damaged or torn. Never tie teether around child's neck. Always use with adult supervision. Retain packaging for reference. WHAT IS THE BEST WAY TO CLEAN SILLI CHEWS TEETHERS? Hand wash Silli Chews teethers in hot, soapy water, or put them on the top rack of a dishwasher. Teethers should be cleaned thoroughly before first use. Do not boil. Be sure to check out the rest of the Silli Chews range!